Lexie received a BA in Music/Audio Recording Technology from Case Western Reserve University in Cleveland and MFA in Visual Arts from Columbus College of Art & Design. In between, she spent time in the audio engineering program at the Banff Centre for the Arts in the Canadian Rockies and working in sustainable agriculture. Through her work at Roto she built electronics for interactive science center exhibits. 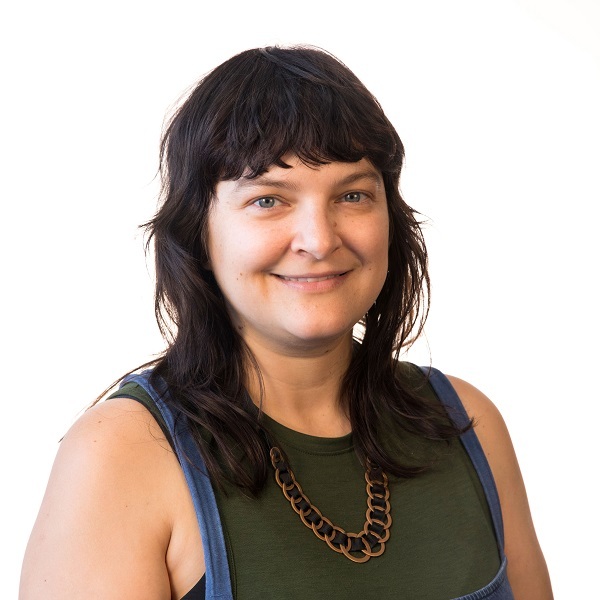 Lexie teaches courses at the intersection of sculpture and electronic media, including Multi-Sensory Art Practice, Interactive Design, and Design for Media. Her work has been shown throughout the country, including at The Wexner Center for the Arts (OH), Microscope Gallery (NY), SPACES (OH), and Megapolis Audio Festival (PA). Residencies include Signal Culture (NY), Damsite (NM), and Crosshatch Center for Art & Ecology (MI).